Today U.S. Senators Scott Brown (R-MA) and John Kerry (D-MA) hosted a field hearing with Chairman Begich (D-AK) of the United States Senate Commerce Subcommittee on Oceans, Atmosphere, Fisheries and Coast Guard at the Massachusetts State House. 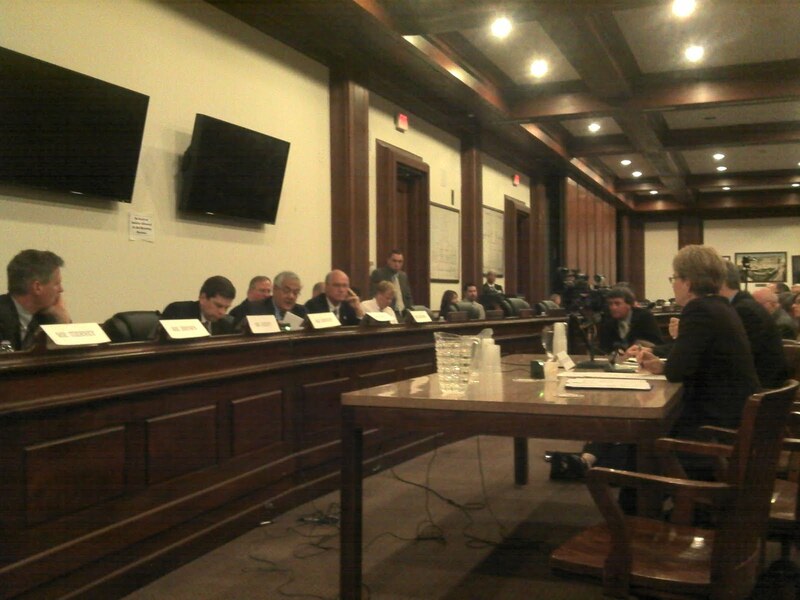 The well attended hearing focused on the federal government’s oversight of the New England fishing industry. 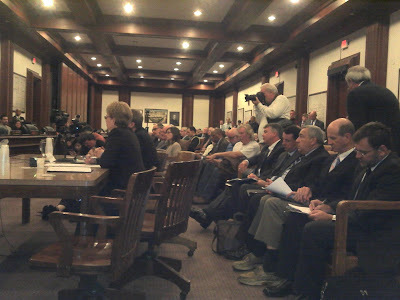 Undersecretary of Commerce for Oceans and Atmosphere Jane Lubchenco provided testimony and was questioned by the panel, which also included Massachusetts Representatives John Tierney, Barney Frank and William Keating, on the agency’s stance on catch limits, catch shares, enforcement tactics, and abuse of powers. 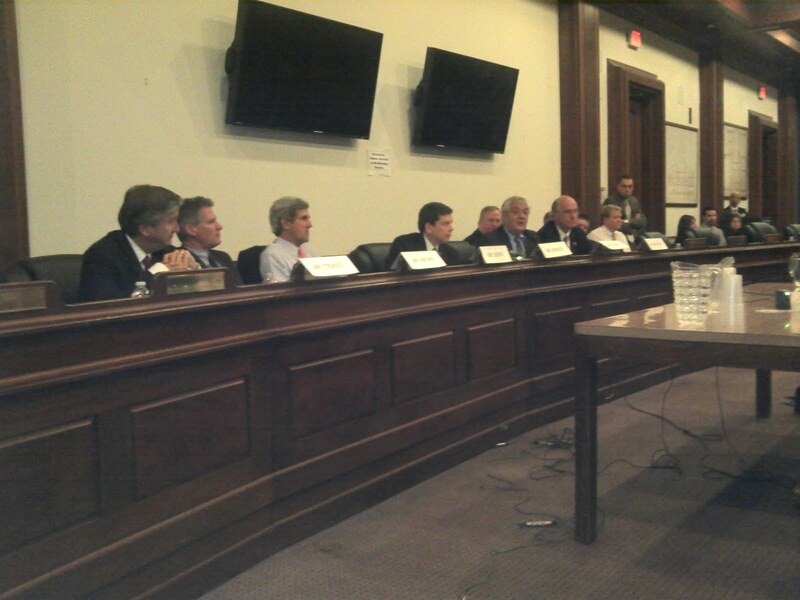 Other thoughtful testimony was received from University of Massachusetts Dartmouth marine scientist Brian Rothschild, and Director Paul Diodati of the Massachusetts Division of Marine Fisheries. The hearing represented an important step in correcting significant problems with the federal management of fisheries in the Northeast, with a focus on groundfish. Please tune in to tonight’s evening news broadcasts to see highlights of the hearing. Below are some photos taken at today’s hearing.